חברת אלימק משווקת מתמרים אופטיים למדיה של חברת SQS הצכית. The media converters are designed to convert 10/100Base T signals to/from 100Base FX fiber signals. It is used to extend the connection distance between two Ethernet devices via fiber cable transparently with no performance degradation. 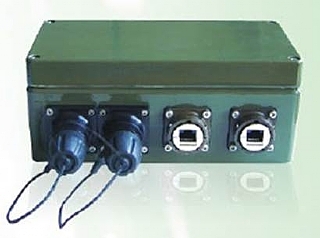 -Designed as twin module ( Two MDC in one case ). -Application in heavy industry (mining ). -Transparent to 802.1Q VLAN tagged packets. -Far End Fault function on FX port. -Link fault pass through function.